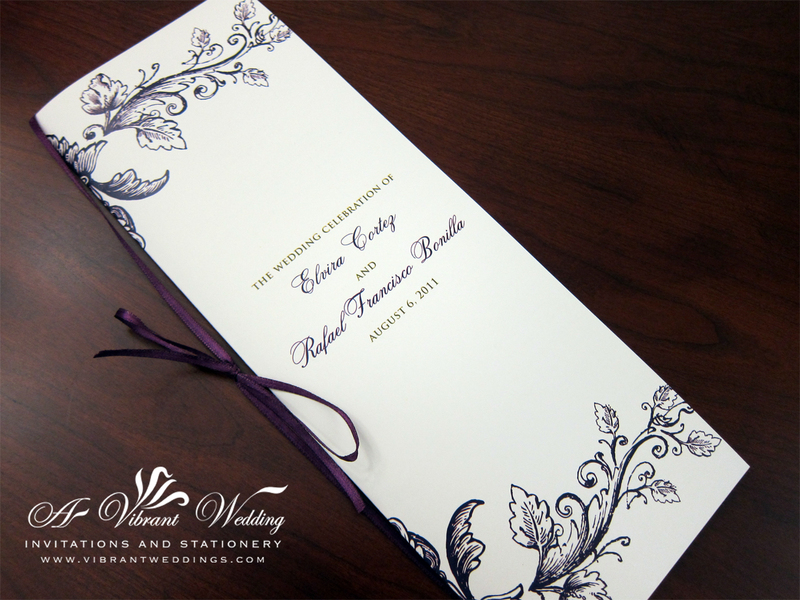 $2.50/ each 8.5X11″ Custom Ceremony Program, folded long way to 4×11″, and printed on front and back with matching colored satin ribbon tied around the middle. 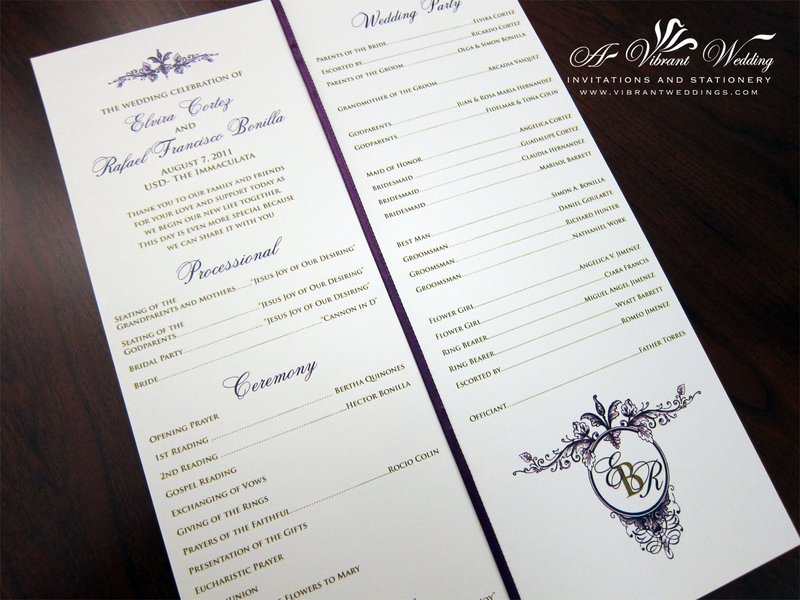 Contact us to customize your invitation to match your colors and theme. 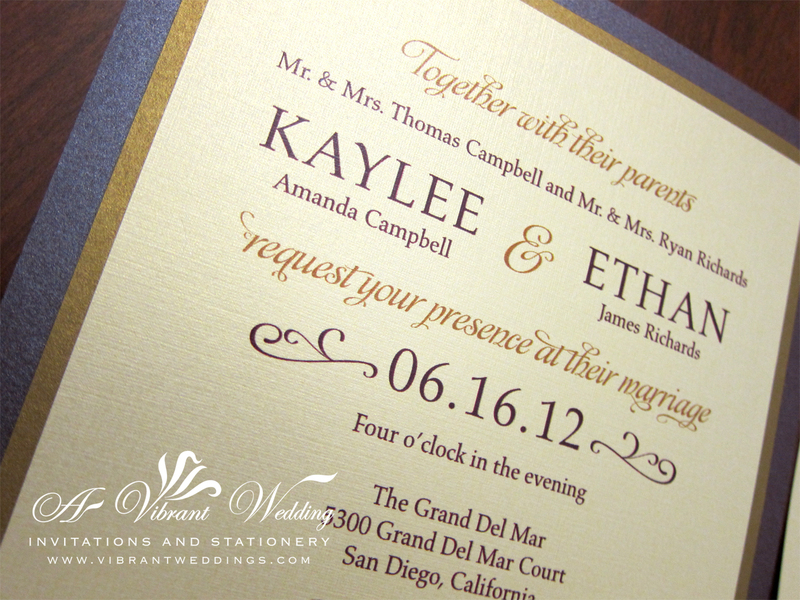 To view our extensive portfolio or to customize your own, please go to http://www.VibrantWeddings.com or contact us at avibrantwedding@gmail.com or (619) 852-6886. 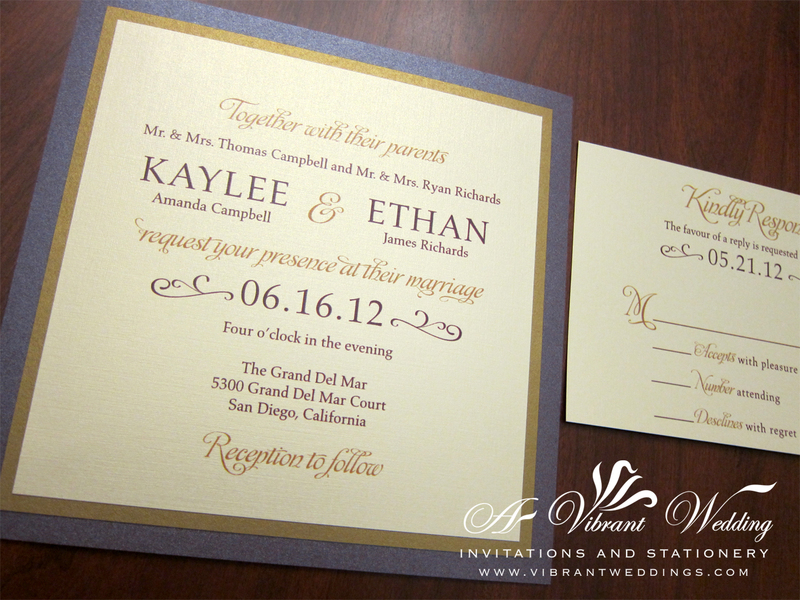 Included: Matte Pocketfold invitation, Response card, and two blank metallic envelopes. 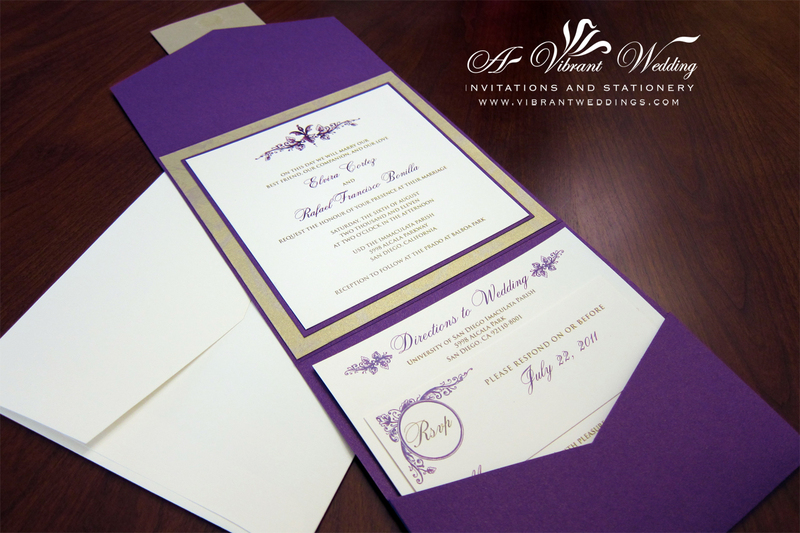 5.75×5.75″ Pocket-fold style invitation with a square triple-layered outer seal. 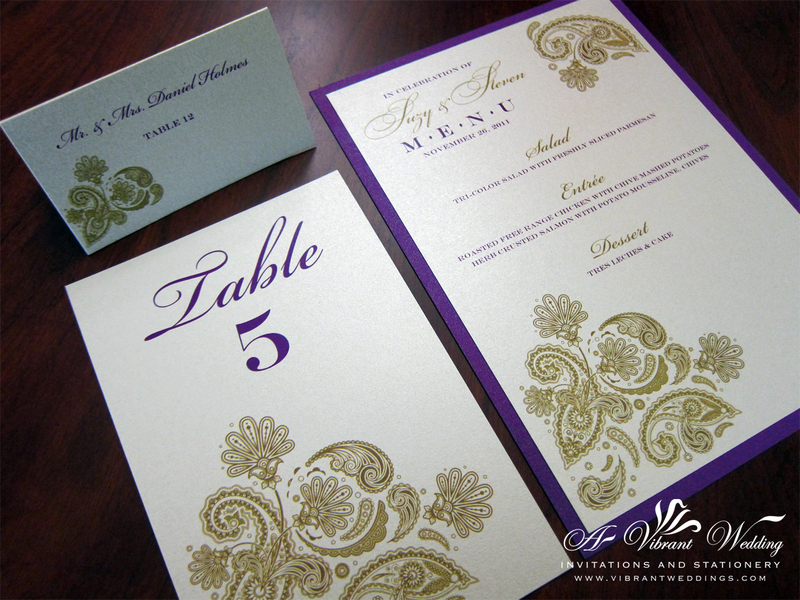 Combination of metallic shimmery and matte card stock paper. 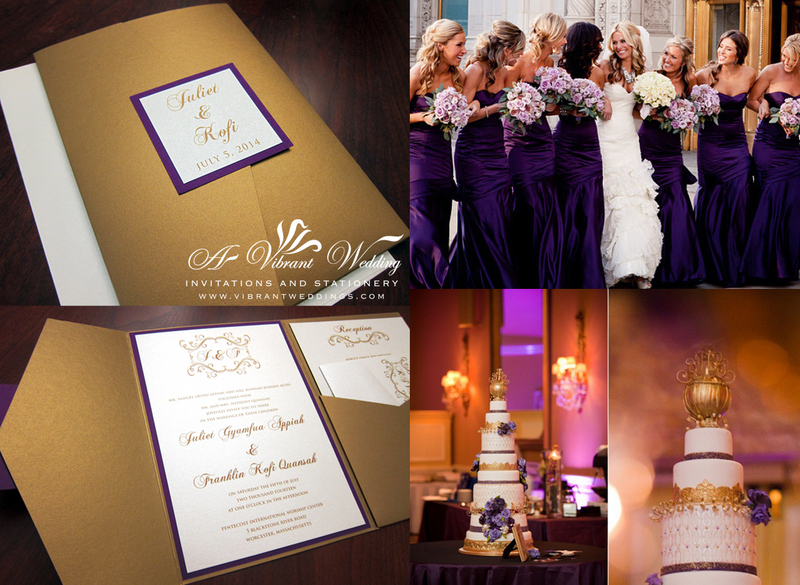 Triple layered invitation (3 sheets of paper glued together).